Cover: (11/1971) picture sleeve front and back. 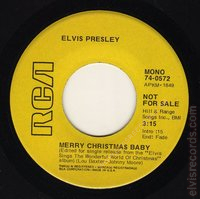 Disc: (11/1971) Orange label. 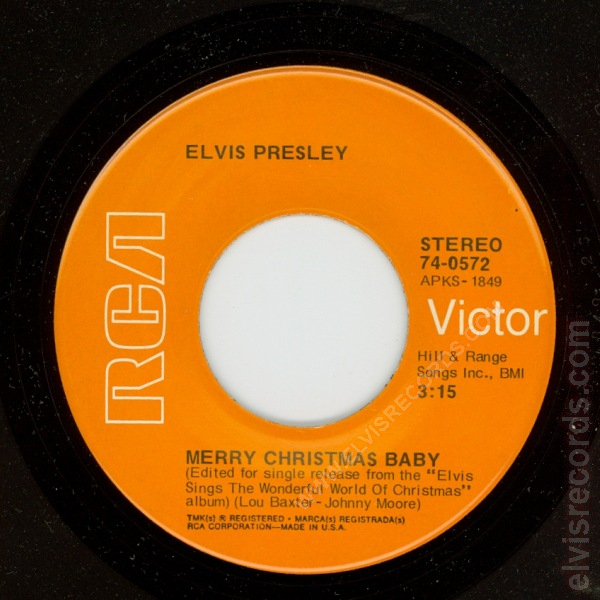 On the MERRY CHRISTMAS BABY side, on the right side, Hill & Range Songs Inc., BMI on two lines. 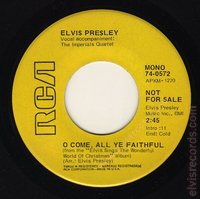 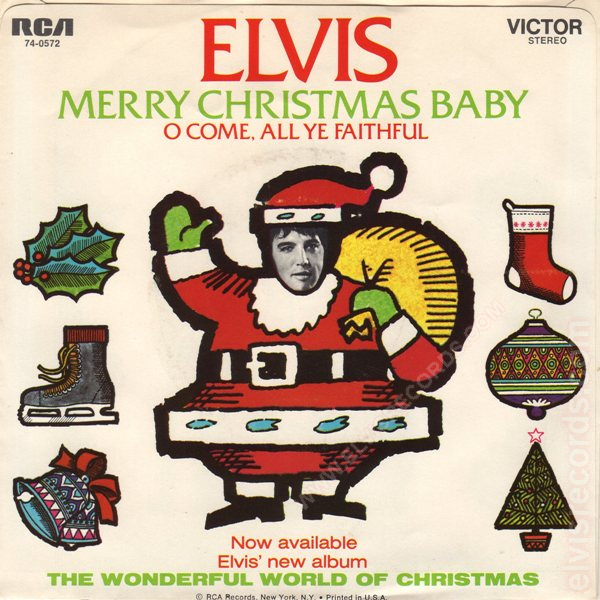 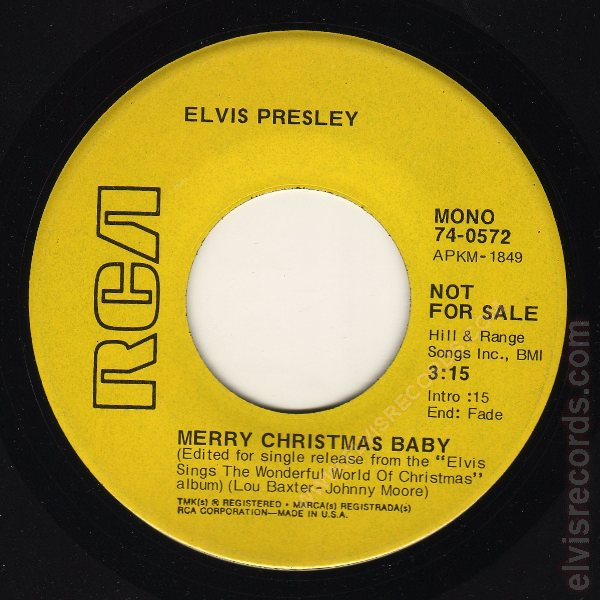 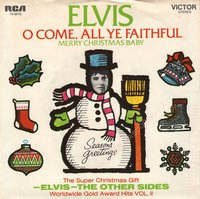 On the O COME, ALL YE FAITHFUL side, on the right side, Elvis Presley Music Inc., BMI on two lines. On top, Vocal accompaniment: The Imperials Quartet is credited. 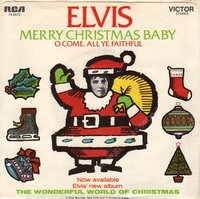 Regardless of what the price guides may report, I believe that the regular release is far rarer than the yellow label, promotional release.